I liked the acerbic art critic Brian Sewell not just for his deflation of the empty and pretentious but also for his knowledge of exhibitions staged long before his readers were born. I was born fifteen years after him but I remember the Picasso exhibition of 1960, the one that established his reputation for the first time in England – before that he was widely considered a charlatan. I was fourteen and it was the start of my gallery-going. Now public galleries are dependent on sales, and blockbusters have to be bigger. The Van Gogh Museum in Amsterdam, which I visited on Saturday, has a Van Gogh-Munch show comparing the two innovative and troubled artists. They were in Paris at the same time but there’s no evidence that they met. In some ways the parallels are forced but the exhibition made me wonder whether, if they weren’t so totally neurotic, they’d have done anything so interesting. Van Gogh’s tragedy was that he died at 37; Munch’s that, as the world’s most anxious man, he lived to 80. As well as putting on comparison shows, curators have to explain things to the younger visitor, like what a “letter” is. Van Gogh had a voluminous correspondence, which his family preserved, so we know a lot about his thoughts, travels and careful artistic experiments. A note explains, “In those days it was common for people to write letters in order to keep in touch and share news.” Well, d’oh! But, hang on, who writes letters now? I only write them to old people who don’t do email and I’m told that some yoof think it’s unmanly to write with a pencil instead of a thumb. So what did a “letter” actually look like? No-one really knows. 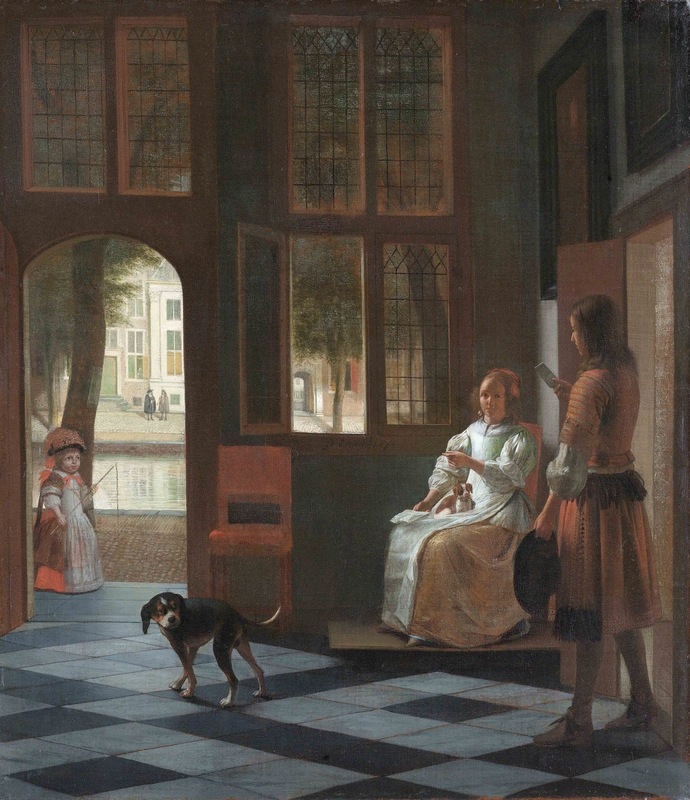 Even in 1670 people were texting, as this selfie by Pieter de Hooch (below) shows, and, look, the little girl in the doorway has a selfie stick.